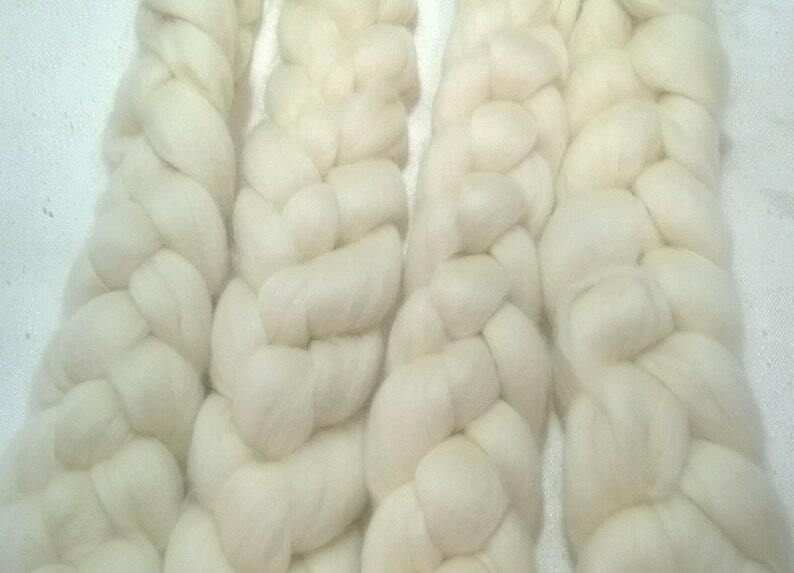 This Merino Roving, it is white. It is 100% Merino Wool. A wonderfully soft, 21 micron fine wool, Merino is terrific for any next-to-skin garment. It takes dye beautifully and can be spun anywhere from thick and lofty to extremely fine for fabulous lace, and dyes beautifully with acid dyes. This fiber can also be used for Felting. My roving comes from a clean and smoke free home, But I do have a bird in another room, but he does not come into my craft/dyeing room. Feel free to send me a conversation with any questions you made have. Please visit our sister Store www.jbsoaps.etsy.com, for Handmade Soaps.